Best secured with Cable Ties or Duct Tape. 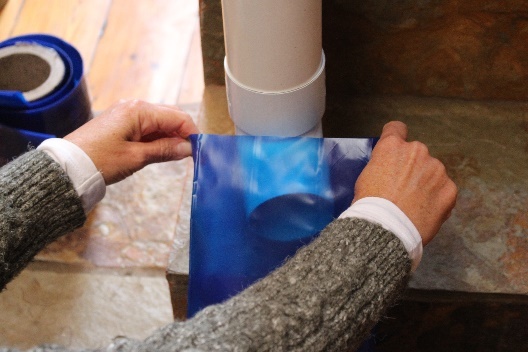 Open the Aquapipe at one end and slide it over the bottom of the drain pipe. 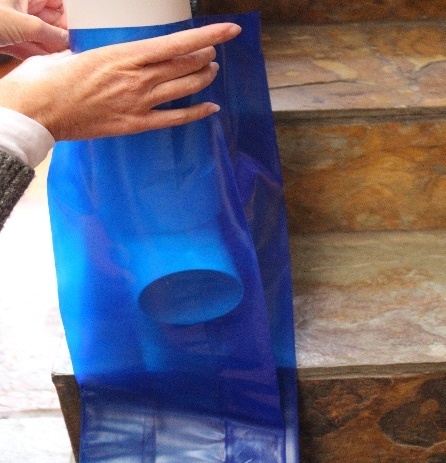 Slide the Aquapipe up along the drain pipe to approximately 15cm above the bottom curve. 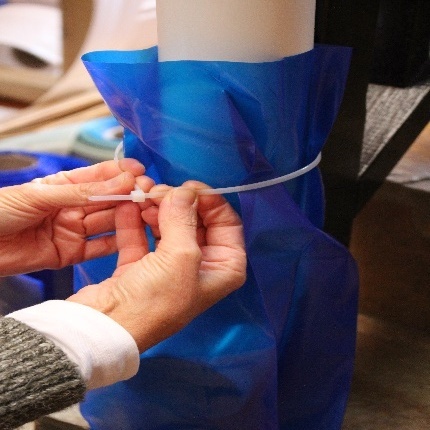 Slide the cable tie around the back of the drain pipe and secure. 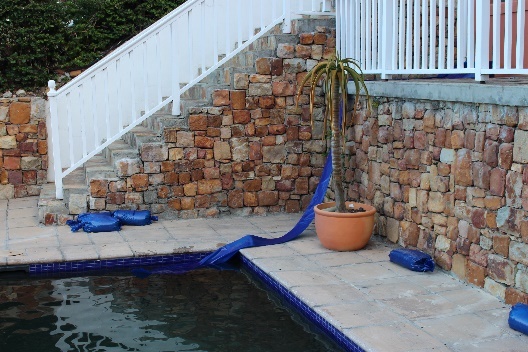 When there is rain on the way, roll out the Aquapipe to where you want the rainwater to go. 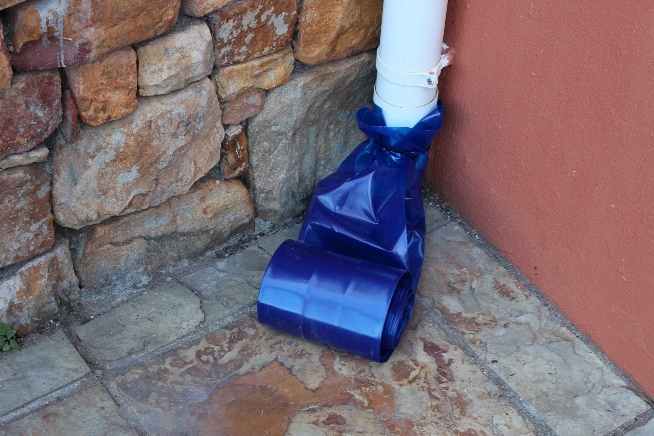 When not in use roll up the Aquapipe into a neat snail at the base of the drain pipe until needed again.